This Tee is 100 % preshrunk cotton. The awe-inspiring graphics are stamped with a large custom PELAGIC Open Water Series Frigate emblem on back, smaller OWS logo on front, and a small P logo sewn onto the left sleeve. 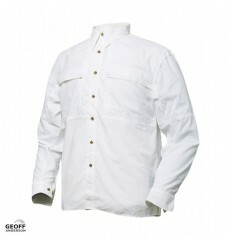 WOGGI White Colori : Bianco, SandTaglie: S-XXXL.Peso: 242 gr.